Japan is not, of course, a country with any great beer tradition to speak of, and so one may be forgiven for thinking that it's all a dreary swamp of bland pale industrial lager. There is some truth to this, but there is also a lot more going on in Japan, which has a thriving craft beer scene. There is also more to the industrial beer scene in Japan than one might think. Our recent holiday gave me some opportunity to study this, and this is a summary of what I found. Beer does not have a long history in Japan, which traditionally has been a country of rice wine and liquor. The Dutch, who were the first Western traders to gain access to Japan, first brewed beer for their own sailors and traders. This foreign drink gradually caught on with the Japanese, and today beer makes up well over half the alcohol consumed in Japan. Japan is almost completely dominated by four big brewers (in this order): Kirin, Asahi, Sapporo (which also makes the Yebisu beers), and Suntory. In the vast majority of restaurants, pubs, and shops in Japan the only Japanese beers you'll find are made by these four. Finding something else happens, but it's rare. Most of what these brewers make is pale lager, but they also make some darker (and even black) beers, but these are harder to find. The first thing that sets Japanese industrial beer apart is the quality. However bland or boring the beers may be, they are always of high technical quality, and real off tastes (like butter, corn, paper, boiled vegetables etc) are very rare. This is more than can be said of most other brewing nations. In taste the pale lagers are generally light, clean, refreshing, and they tend to have a light spicy edge. Other than that they also tend to be rather boring, unfortunately. Another unusual aspect of Japanese industrial beer is that most beers send clear signals to the consumer about their quality level, and this level of course tends to correspond with the price. This means that the consumer usually has some idea of the relative quality of the beer he or she buys (within the spectrum of pale industrial lager, of course), and many consumers will buy cheap, poor beer during the week, and higher-quality, more expensive beer during the weekend. There isn't really a clearly defined scale for this, but I think I can identify four major classes of beers. In terms of taste happoshu is not good stuff. The ones I have tried (like Kirin Tanrei Alpha) have been unbalanced, and had some off tastes. I recommend staying away from these. They are mostly sold in shops, anyway, and rarely found in pubs and restaurants. This isn't an officially recognized class, but I'd consider this the next step up from happoshu. These are what I'd call the normal, run-of-the-mill beers from the big brewers, such as Kirin Classic, Asahi Style Free, Sapporo Classic, and so on. These beers tend to be straightforward, boring, bland pale lagers. These beers are of slightly higher quality, and generally have a bit more taste than the normal beers. The labels tend to be fancier, and the names more assertive. Here you find stuff like Asahi Super Dry, Kirin Brau Meister, Sapporo Premium Draft, etc. This is where the spicy taste tends to show up, making these beers a slight bit more interesting than the normal ones. Some might even have a trace of aroma hops. Super premium beers are higher-quality beers where the names, labels, and general marketing really try to convey a touch of high class. To go with it the taste tends to be richer and deeper than what is normal for industrial pale lager, and some of these beers can be quite interesting. Many of them give the impression that they are aimed at beer connoiseurs, but realistically that's aiming a bit high for something that is still very much normal industrial pale lager. However, they definitely beat most industrial pale lagers anywhere in the world. Good examples are Suntory Malts Super Premium (which uses Saaz and Cascade hops), Kirin Grand Ale, Kirin Golden Hop, and so on. Ji-biru is Japanese for "regional beer", and this is where the interesting stuff happens. The term mostly refers to craft beers produced by smaller breweries, which became legal after a 1994 reform (before that breweries producing less than 2 million liters were not legal). Today there are a fair number of these, but finding their products can be difficult. It's basically the same problem as in most other places in the world: most bars/pubs/restaurants don't care what beer they sell, so you mostly get 1-2 industrial beers. The places that do care generally import higher-prestige foreign brands instead, often of inferior quality. Some places, like Underground Café in Matsuyama, an über-hip place for people who are their own stylists and read interior design magazines in the bar toilet, take this to ridiculous extremes. Their beer menu consisted of Rolling Rock (US, 8% on RateBeer), Fischer Tradition (French chemical waste), and Pine Beer (Filipino pineapple-flavoured non-alcohol drink, basically undrinkable). The smaller Japanese brewers seem to be generally US-influenced, and brew much the same styles as US craft brewers, and tend to have much the same interpretations of these styles. They tend to use US hops (like Cascade and so on) and they also tend to use the same newly invented styles (like Imperial Smoked Porter). The quality of these beers varies dramatically, and some are really poor, but generally they are good, if milder than their US counterparts. Many of the Japanese microbreweries seem to be sake breweries which have expanded into beer. This is less of a stretch than it may seem, since the brewing processes are quite similar, even if the products are very different. As far as I can tell there are big regional differences in how easy it is to find ji-biru, and it was only in the Gifu and Nagano prefectures that we really found this kind of beer with any kind of regularity. In these areas it was sold in pubs, restaurants, and even supermarkets, but in the other parts of Japan we visited this was very rare. So beer-wise I would definitely recommend these two prefectures, and especially Nagano. The Japanese seem to have their own interpretation of every aspect of western culture, and pubs are no exception. In Japan the local watering hole is generally what's called an izakaya. They tend to be small, dark, slightly grungy, and always feature a bar against which customers are seated. 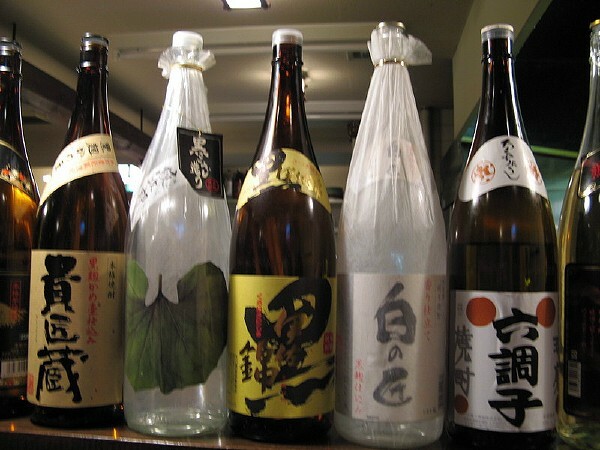 On the bar is often a row of 1.8l sake bottles, shielding customers from the waiters, who very often seem to be man and wife, generally referred to as mama-san and papa-san. There is sometimes music, often quiet jazz, but usually there is a TV showing sports or game shows. The "menu" tends to be strips of paper (or wooden tags) with sake brands on them and the price. Beer is usually restricted to one premium draft or bottled beer, but there are occasional exceptions. The izakaya also serve food, and most places ordering a beer or sake will also get you a small tapas-like food item. Many izakaya are local establishments where most customers know both each other and the mama-san/papa-san well. The izakaya seem to function as a kind of social community, where customers go as part of their daily routine. It also seems that part of the mama-san's job is to comfort customers when they are feeling down, but I'm told that it also works the opposite way. In Tsumago (a small village in Nagano prefecture) we visited one izakaya that seemed more local than most. We arrived slightly before dinner-time, and had some cups of tea while waiting for dinner at our inn. Customers arrived one by one, and all sat at the same table. What was more unusual was that each customer also brought some ingredient for the food, most of them vegetables that seemed to have been pulled out of the earth a few minutes earlier. Presumably the mama-san cooked them all a dinner from the various ingredients, but we didn't stay long enough to find out. You visited Matsuyama didn't you. Matsuyama is my wife's hometown and I'd spent my college days in there. I believe that there was three kind of local beer also in the town. Did you try them ? I did go to Matsuyama, yes. I really liked the town, and especially the castle, and the moat in the middle of the town centre. We went to Dogo to try the local brewery. I'll write about it in an upcoming posting. During the course that you teached with Stipp and Brill, you told us that you where a beer lover. I must say that I prefer Kirin Ichiban above Asashi. I got to try two beers from that brewery at Popeye in Tokyo, but never learned anything more about the brewery. The beers were quite good, and I wouldn't mind finding some more of them. Hi lars, nice blog.Baird Beer in Numazu west of Tokyo makes great beers that you can sample in the brew-pub. Yona-yona ale from Yo-Ho in Karuizawa is also very good. Some of the beers from Hitachino Nestu close to Mito are quite good, as are some stuff from Swan Lake in Niigata. Popeye in Ryogoku serves most of this stuff-brilliant place. 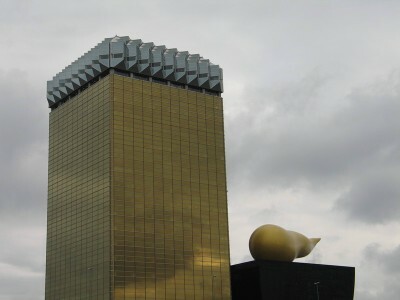 If you�re ever in Sapporo, don�t miss Mugishutei. Hi Micke. I've tried beers from all the breweries you mentioned, and liked them all. The Swan Lake beers especially. I don't know that I'll ever get to Sapporo (unfortunately), but I'll definitely look for Mugishutei if I do. can you tell me any stores that sell japanese craft beers in osaka? Cheers! Hi Jeff. I'm afraid I can't. I did a search on RateBeer.com, but found nothing. There are some ji-biru bars, though, and some of them are very unusual. You can do a search here http://www.ratebeer.com/Places/Places-Find.asp and see what you find. Any chance you know of any ji-biru locations in Nagoya? You are clearly a half-informed fool tourist to these islands, someone who has been here what, three times? and now thinks they know a thing or too about the place, right? speaks like nine words of Japanese, right? - you should be ashamed of your own ignorance. 'Japan is not, of course, a country with any great beer tradition to speak of'. Really? 'Beer does not have a long history in Japan' and this conjecture is based upon what evidence exactly? Japan has a rich a varied brewing tradition and an extensive heritage in brewing beers and ales. As with any agrarian race the evidence is ample, whilst it may have not been called 'bi-ru' per se. primitive alcoholic beverages made from fermented wheat and barley have been around since people began farming and living in communities.If you take a visit to somewhere like &#27665;&#21338; in Suita, [http://www.minpaku.ac.jp/] then you will see an array of pottery vessels and utensils that were clearly used for brewing. Do some research instead of spouting conjecture masked as the truth. Your classification of what you see as being the ranking for beer is also nonsense. 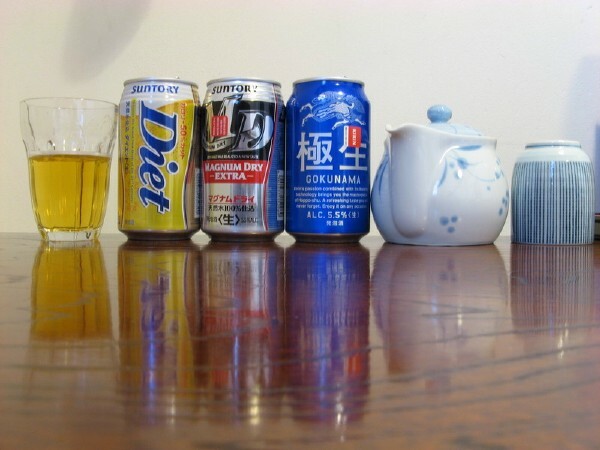 Japan's beer are classified into 'malt' beers and miscellaneous alcoholic beverages, of which there are three ranks. 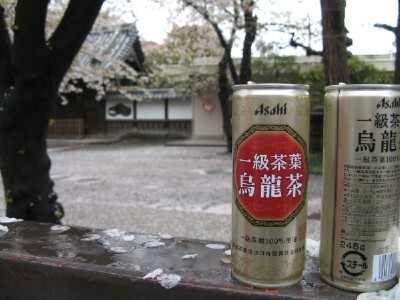 Starting from the bottom: &#30330;&#27873;&#24615; (happousei), &#30330;&#27873;&#37202; (happoushu), and &#12288;&#12499;&#12540;&#12523;. The percentage content of the relative ingredients determine its nomenclature, naming, ranking and taxable status. Because Japan has traditionally valued taste and quality beers have been brewed. However as these brews are highly taxed the Japanese have started to produce something akin to Belgian wheat beers etc. Beers which contain reduced volumes of malted barley. For the purposes of taxation these are considered to be outside of 'beer'. In reality however, they are well-brewed and no different from a lot of European beers. As for Asahi Super Dry being a 'premium' beer... are you high? Asahi Super Dry is very average beer at best, intended to be consumed as an accompaniment to food. And if one were to classify beverages as 'premium', then the only two macro-brews that would fit that status would be the entire range of Ebisu and Suntory Premium Malts. 'For some weird reason, happoshu is taxed lower than normal beer' - why does the taxation law of Japan appear 'weird' to you? 'The smaller Japanese brewers seem to be generally US-influenced, and brew much the same styles as US craft brewers, and tend to have much the same interpretations of these styles'. Again, what utter nonsense you espouse. Current Japanese craft-beer brewing is firmly seated in and descended from Europe. They brew beers according to the European brewing tradition, which was the source of inspiration for the American craft-beer movement. 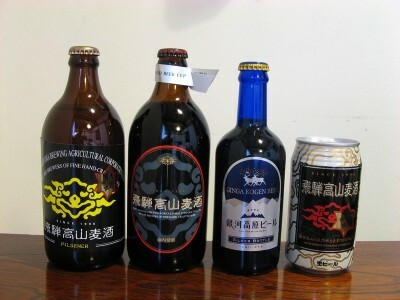 The three main types of beer commonly offered by Japanese craft beers are: K�lsch, Weizen, Alt/Amber Ale and Stout - although the latter is really a porter. As a footnote, I wonder why, if you are such the expert on Japanese brewing (stifled laugh) that you fail to mention the enormous range of seasonal beers/limited editions offered by the macro-breweries, the five subtle and varied products offered by Ebisu and other varieties such as the range of porters: Kirin Stout, Ebisu, Asahi M�nchen-type, Suntory (limited edition). If you want to put yourself up as some expert on either Japan or Japanese brewing (or both), then I suggest doing some basic research and gaining some basic knowledge before putting finger to keyboard. Hi, just saw this and thought you might like this http://aroundtokyo.net/blog/2012/05/02/just-in-japan-local-discoveries/ It` on my own site, but very relevant to what this page is about - beer in Japan.